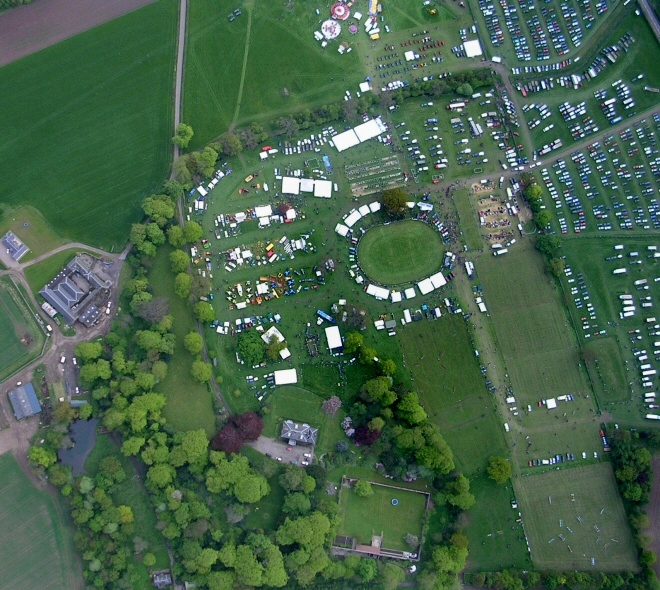 Here is an aerial view of the Fife Show at Kinloss Estate, showing the showground in the centre. Kinloss House and its walled garden are at bottom centre and Kinloss Farm at left centre. Garden Cottage is in the bottom left of the picture.